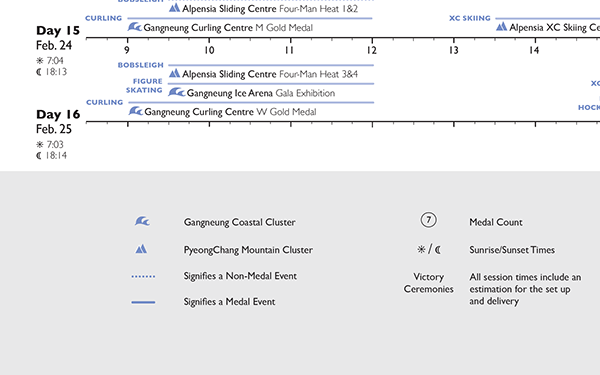 Goal: Redesign the PyeongChang 2018 Olympic competition schedule including all information from the original PDF schedule (shown below). The dimensions of the print component must be 8.5 x 14 inches. Allowed to use only 2 type families and 2 spot colors. 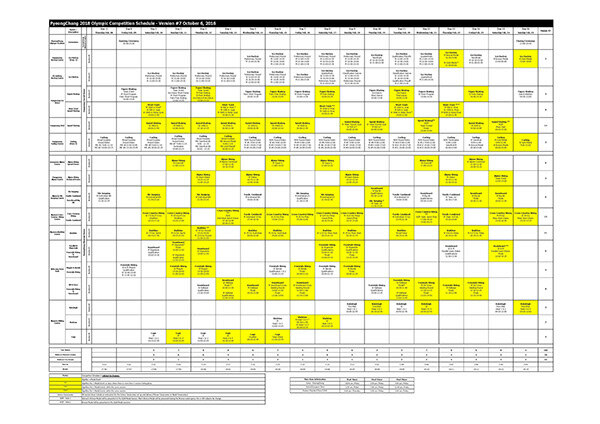 Provided file of the schedule. 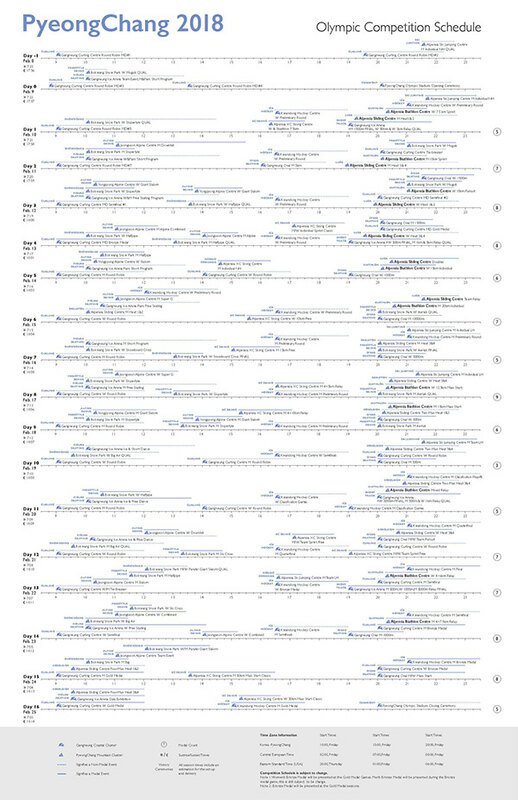 Full version of the new schedule. Detailed shot of the key.